Imperial, one of Chapel Streets icon names, has once again risen to establish itself as one of Melbourne's leading hospitality venues. The newly refurbished decor has capitalized on industry trends creating a crisp open feel, with the flexibility and diversity to create many different types of atmospheres. With the inclusion of an open fire place and new cafe, Chapel Street has never felt so inviting. Experience the best in comfort and service while relaxing enjoying the fine array of products on offer with an excellent wine list for those lazy days by the fire. 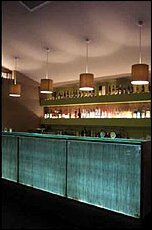 The Imperial continues to build on its reputation for throwing a great party. 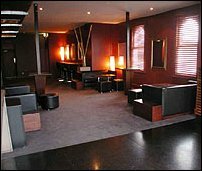 With two large function rooms able to take up from 50 to 300 people right in the heart of Chapel St, two huge car parks within walking distance and a late license to match, this icon venue is fast becoming a favoured choice for those looking for a discreet, professional and reasonably priced location for their end of year function or breakfast meeting. Popular with the discerning local fashion chains for adaptability and quality of food and beverage (each event is tailored to the clients' exact specification), the Imperial should be on the list of anyone looking for a function "with an edge".